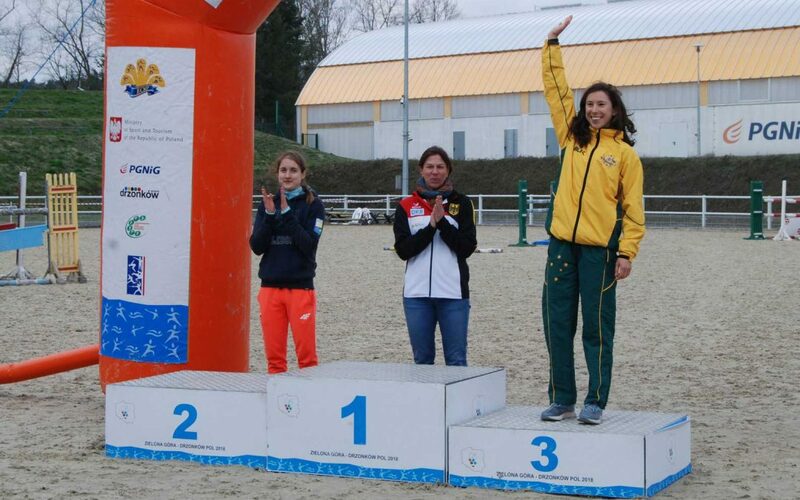 Marina Carrier has continued her strong start to the international season by running on to the podium at the Poland National Open II. Carrier started the Laser-Run in sixth place and quickly moved to fourth in the final discipline of the two-day competition. “I sat in fourth until 400m to go,” Carrier recalled. “I overtook Rio Olympian and current world number two Sarolta Kovacs, for the podium and third place! 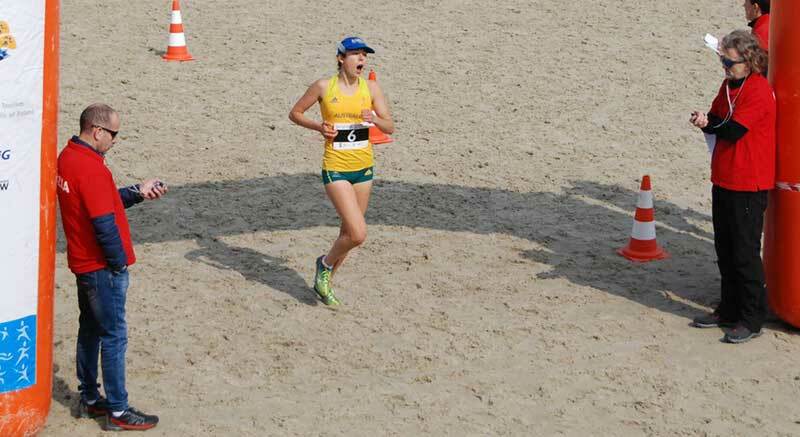 Marina Carrier was exhausted and thrilled when she crossed the finish line in Poland and third. The 22-year-old Tokyo Olympic hopeful came into the Poland Open in good form following sixth place at the French Championships a fortnight ago. And she needed all her summer fitness and resolve in Drzonkow with ‘an incredible 54 entries’. The fencing on the Saturday took four hours, however she maintained concentration for 28 victories and 19 defeats to be placed seventh going into the swim. The show jumping was held Saturday evening and she finished the day in the best possible fashion. The Sydney University Medical Science student will gain plenty of confidence by producing the fastest Laser-Run of the competition. Germany’s Annika Schleu, who was second at the 2018 World Championships, took the gold in Poland. Carrier will now return to Australia and for another heavy training block and university, ahead of more international meets in a few months.